We trust that you are keeping very well. A few weeks ago, we received communication from SOBA National in Cameroon claiming acts of gross misconduct by members of our SOBA UK Executive and one of our patrons. Upon receipt of these allegations, we unearthed very serious inadequacies of the process and proceeded to direct our response to the competent authority as defined by the 1991 Constitution. In this response, we suggested a possible line of action to fairly resolve the matter using an Alternative Dispute Resolution with clear timelines. Unfortunately, Prof Ephraim Ngwafor,Mr Ebot Mfoataw and their cohorts have exercised bad judgement and have proceeded to issue lifetime bans,and pronouncement of no possibility of readmission,to SOBA UK Executive without agreeing to the fair process of resolving the issue as communicated in our response. These individuals in SOBA National in Cameroon have acted as victims, judge, jury and executioner, and have continued to make a mockery of Sobans worldwide by asking those targeted to lodge an appeal to the same people who have passed these heinous judgements to suit their agenda. The concept of a General Assembly of members as the ultimate decision maker,the core tenet of decision-making enshrined in the 1991 SOBA Constitution, only exists in name in SOBA National in Cameroon. On the other hand, we in the UK remain resolute in our belief that good governance is dependent on this value and remains the cornerstone on which important decisions on SOBA UK-related matters are resolved, as documented in our 2013 SOBA UK Constitution. We, the executive of SOBA UK would like to confirm that these lifetime bans of our members in the UK by elements from SOBA National in Cameroon have no relevance,and have been rejected in totality by the SOBA UK Executive. 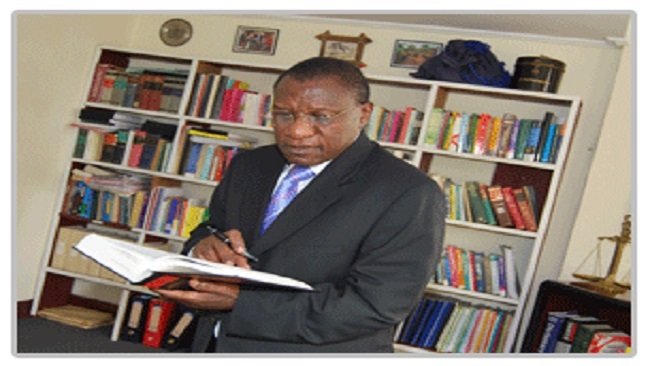 Those behind the lifetime ban, namely Mr Ebot Mfoataw, Prof Ephraim Ngwafor and four others have no legitimacy since 10th March 2018 when a Revival General Assembly held in Buea Cameroon and ended their mandate in SOBA National as executive after breaching article 23.2 of the 1991 Constitution. The 2018 Constitution, which Mr EbotMfoataw and Prof EphaimNgwaforhave packaged in a booklet and quoted as the basis for issuing lifetime bans, is an illegal document that has not been ratified inprocess and content both by the Soban family in Cameroon and in the Diaspora. The 1991 SOBA Constitution, which is the bona fide reference document, sets out no basis or justification for such unscrupulous activities and actions, especially across jurisdictions. The lifetime ban, the reasons given, the lack of supporting documentation and dubious process amount to nothing other than defamation and slander of the good name of the members of SOBA UK. The members concerned will personally seek redress for these publications intended solely to damage their persons and score cheap headlines. Given that there are problems in SOBA UK and Prof Ngwafor has been siding with the Splinter group in the UK and has taken a series of dubious actions to support them, including donating money to the group, these latest actions add to the mounting evidence that Prof Ngwafor’s motivation in this whole debacle is political.Furthermore, we strongly believe that this new action is designed to bolster the Splinter group with a greater agenda to take control of the legitimate SOBA UK, its strong finances,intellectual and property, and achievements which have eluded Prof Ngwafor throughout his time in SOBA National. The obsessive and unproductive meddling byProf Ngwafor,inCameroon, in the affairs ofSOBA UK is improper and unconstitutional. We are asking all members of SOBA UK and the UK Cameroonian community to remain very confident that our SOBA UK programme for the rest of the year will continue as planned under the stewardship of President Akoh-Arrey and his Executive. Our SOBA UK General Assembly remains the ultimate decision-maker in SOBA UK matters. Our next SOBA UK General Assembly sits in ordinary session on 22nd September 2018 at St Georges Park, Hilton, where these matters shall be fully deliberated upon and clear directive will be given. Please enjoy the rest of your week and we look forward to seeing you all soon at St Georges Park under our theme for this year – “Together we Succeed”.